Hey everyone, happy Friday! Yeah! I have some Composite Textures for you here. 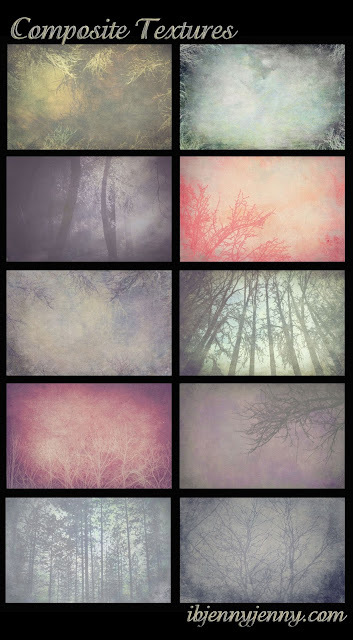 These are great for many different projects but I like them best as backgrounds and for wallpaper too. All of the textures were created from real photographs that I took myself of this beautiful forest that I live in. Each of the textures are a large 3888x2592. They were processed in CS6. These are just so beautiful. as shown above . What do you suggest. which then loose the beautiful quality of the originals. is there some way to get the high def. quality? There is a new link to download the, not sure why they were not copying at full resolution. You will have to take them as a set now. Sorry for the trouble.